This small city along the Mississippi River plans national sports tournaments for big-time players. 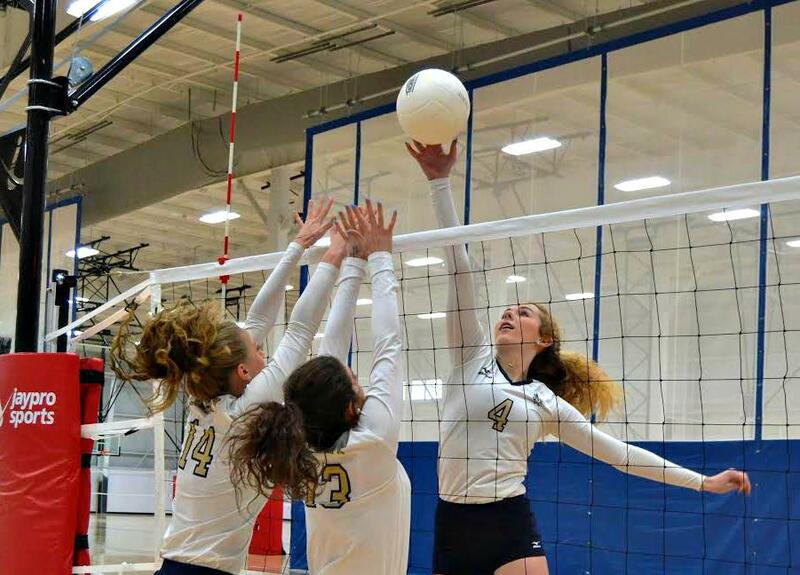 Cape SportsPlex, one of the Cape’s premier sports facilities, can host a variety of sporting events, including volleyball competitions. The following article appeared in the Missouri State Sports Guide. Download the full guide below. What every sports planner will tell you is finding the right facility is only one part of a complicated puzzle. But when you come to Cape Girardeau for your next tournament, you will find everything you could possibly need at any one of its modern venues, plus the helpful tournament staff will make you feel right at home. These welcoming qualities are characteristic of Cape Girardeau, one of Missouri’s quaint border cities. Affectionately known as the Cape, this busy town draws thousands of people, many of whom are sports fans looking to cheer on their favorite teams. Everyone, from tournament planners to families, will feel relieved by the sense of camaraderie they’ll encounter as they navigate their new town. Not to mention, they will come across some unique finds given the Cape’s rich history and numerous attractions. Cape SportsPlex is one of the Cape’s premier sports facilities, offering up to eight different fields for various competitions. Sports planners that are organizing soccer, football, baseball, volleyball and softball tournaments have the option to utilize two FIFA-approved indoor turf courses. These neatly-groomed fields total 32,000 square feet and come with spectator seating, drop down curtains, a modern audio system and several scoreboards. Athletes will also perform at top-notch levels on 57,600-square-feet Hard Tru wooden basketball courts that can easily transform into six-and-a-half volleyball courts. Round up the team before or after the game in one of the SportsPlex’s multi-purpose meeting rooms. 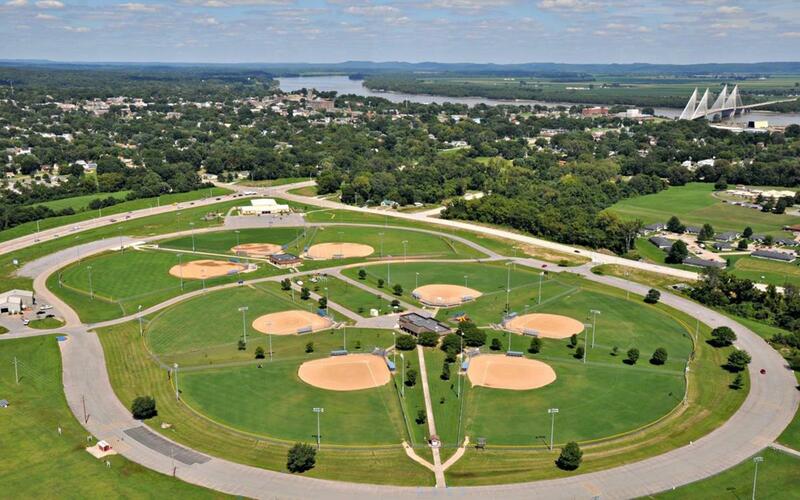 Boasting 14 regulation soccer fields, eight softball/baseball fields and two football fields, the Shawnee Park Sports Complex is the largest youth and adult sports facility between St. Louis, Western Kentucky, Western Tennessee and Northern Mississippi. Those out to play baseball, softball or football will find eight fully lit fields equipped with lighted scoreboards and estimated 300-foot fences. Nighttime soccer players have access to 14 fields, six of which are lit. All fields are complete with pavilion seating, concessions stands and restrooms. 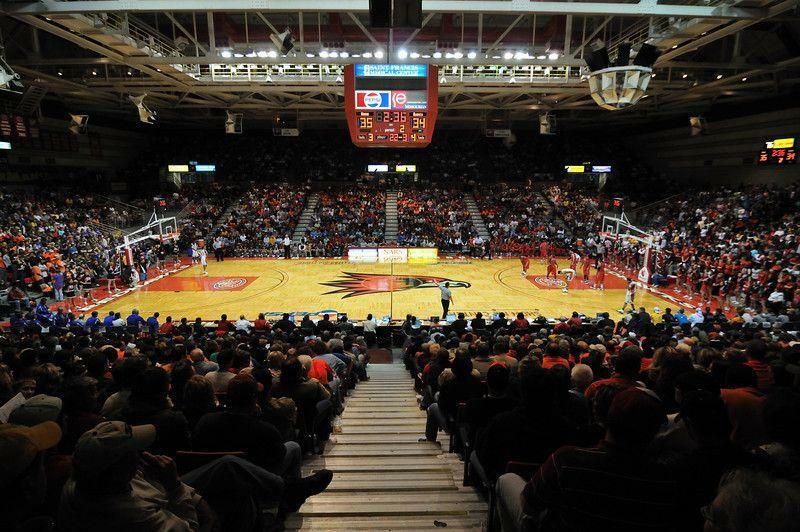 Southeast Missouri State University’s Show Me Center is located right on campus and has hosted the college’s Redhawks basketball teams since 1987. This notable venue, which underwent a $5.62 million renovation in 2015, now sports new amenities, such as a center-hung video display, high-tech audio system, LED lighting scoreboards and shot clocks. Aside from the 7,300-seat arena, tournament planners can hold meetings in separate spaces. The Osage Centre provides 16,6677-square-feet of playing space for tournament planners and athletes. This main floor can be converted into either two fully lined volleyball courts or four fully lined basketball courts. Training takes place in a separate fitness room, equipped with an indoor track, classroom and workout gear. Concessions and catering are available for any event, which can be hosted on the courts or in the Osage’s various private rooms. In addition to its state-of-the-art indoor facilities, Southeast Missouri State University hosts football and soccer tournaments at the 11,015-seat Houck Stadium. Built in 1930 for only $150,000 at the time, this stadium underwent major changes between the 1960s-1970s to feature more seating and a press box. In 2011, the university installed a new football turf, a Daktronics video score board and brighter lighting. The nearby Houck Fieldhouse serves as the venue for the university’s volleyball matches. Home of the Southeast Missouri Redhawks since 1959, Capaha Field has become Missouri’s ideal spot for hundreds of collegiate and summer baseball games. A recent $1.8 million renovation introduced new perks, including artificial turf surfaces and fencing. Teams can also practice in lighting bull pens. Visitors won’t miss a thing, because they’ll be able to catch the game in covered grand stands and on digital video and scoreboards throughout the venue. Golfers will enjoy playing on Dalhousie Golf Club’s scenic par-72 course, located on the Mississippi River Bank about two hours south of St. Louis. This 1000-acre complex constructed by renowned designer Gary Nicklaus is honors its original inhabitants, royal Scottish immigrants. A beautiful mansion modeled after the Dalhousie Castle in Scotland surrounds the course, and a 20,853-square-foot Dalhousie Manor clubhouse supports players of all-levels and their guests. To complete the luxurious experience, four cottages are available for overnight stays. Once a tiny trading town, Cape Girardeau has grown into an industrious city that sees about 90,000 people on a daily basis. Those traveling to the Cape will revel in its simultaneous tranquility and excitement. To start, visitors have the option to stay at the Drury Suites, Hampton Inn, Holiday Inn Express, Comfort Suites and Candlewood Suites, among several other hotels. Tournament planners and athletes will find tons of fun in the Cape, from nature excursions to unique shopping experiences. Families can indulge in water park rides at the Cape Girardeau Splash Aquatic Center, which covers 3.5 acres and includes a 700-foot lazy river, a waterfall and intricate slides. Wildlife adventures also await—think exploring the 3,415-acre Trail of Tears State Park, which offers breathtaking views of one of the country’s longest rivers, or observing exotic plants and wildlife at the Cape Girardeau Conservation Nature Center. Young athletes can improve their daily skills at the Cape Girardeau Discovery Playhouse. And don’t forget to pick up gifts and souvenirs from the antique shops in Downtown Cape Girardeau Historic District and Shopping. In addition to basking in the local fun that Cape Girardeau offers, sports fans should attend these major upcoming tournaments: Adidas March Madness Tournament at Cape SportsPlex (March), the MHSAA Volleyball Championships at the Show Me Center (November), Cal Ripken 8’s Machine Pitch State Tournament at the Shawnee Park SportsPlex (July), the Under Armour Select Summer Super 16 Basketball Tournament at Cape SportsPlex (July) and the USA Men’s Class D & E South State Tournaments at Shawnee Park Sports Complex (August). We always receive positive feedback from our participants! The players, coaches, and parents always leave telling us they haven’t seen anything like the Sports Plex and when we host elsewhere we have teams try and compare other facilities to the SportsPlex! 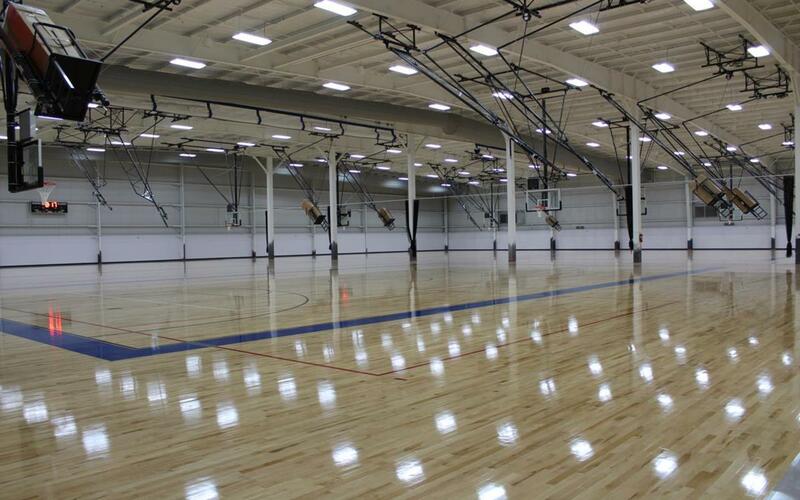 The Shawnee Sports Complex is one of the premiere venues in Southeast Missouri to host your tournament! The complex is well maintained, easy to get to and surrounded by plenty of hotels and restaurants. 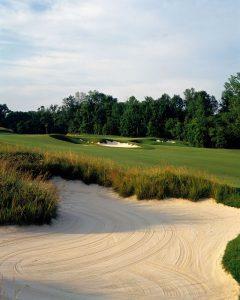 The park staff and maintenance personnel go out of the way to accommodate the needs of your tournament. They are professional, hard working and passionate about the facility. I have been running tournaments there for the last five years and have never been disappointed in the customer service I have received! Great facility, great people! By Car: A number of highways lead to Cape Girardeau, with the easiest routes being along I-55 and Exit 91 (MO AB). Many visitors traveling by car also take I-57 S.
By Air: The Cape Girardeau Regional Airport, just under 15 minutes away from the city itself, remains the most convenient way to get to town if you’re flying from the Midwest. United services flights from O’Hare International Airport in Chicago. Those searching for more options will want to fly in from the Lambert-St. Louis International Airport, a little over 100 miles away from the Cape.